We’re a growing group of talented entrepreneurs, passionate about growing our businesses, and making the world a better place. We love DC, so we set up shop right at 19th and M, a couple short blocks away from Dupont Circle and Farragut Square. 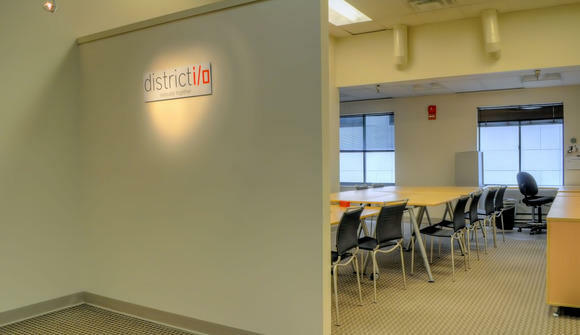 We’ve set up our co-working space to be conducive to idea generation, brainstorming, and great work. We’re always looking for additional entrepreneurs to join us. We know that needs can vary from person to person and team to team. So we have a wide variety of options available for membership. We have dedicated desks available for those who plan on being there every day, workbenches for smaller teams, and drop-in subscription plans. Not looking for office space, but still looking to be involved? We’ll be inviting people over for regular coffees and happy hours. Of course, if you’re just in the area and want to drop by, let us know, we’ll be happy to show you the space!